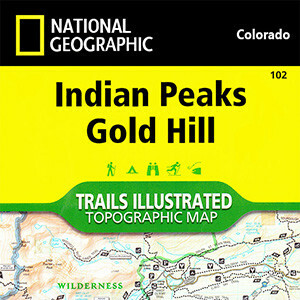 National Geographic Trails Illustrated Map of the Indian Peaks wilderness. 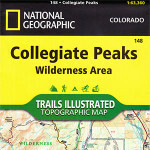 A topographical map that covers the entire Indian Peaks Wilderness as well as parts of surrounding Arapaho and Roosevelt National Forests: Eldora ski area, Ward, Monarch Lake, the popular Brainard Lakes area, and the southern shore of Lake Granby. 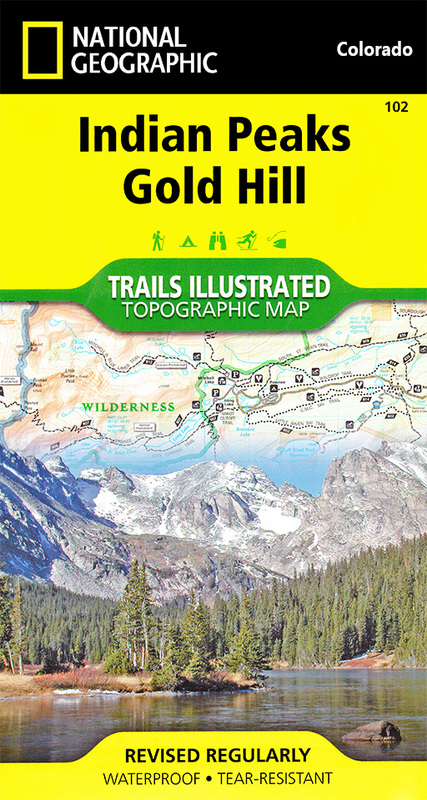 The Trails Illustrated Indian Peaks Wilderness map (Indian Peaks, Gold Hill #102) is a topographic trail map of the Indian Peaks wilderness area near Nederland, CO. Printed in color on durable tear-resistant plastic. 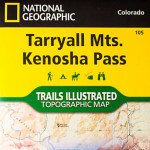 It is everything you need to navigate the trails of the Indian Peaks area. 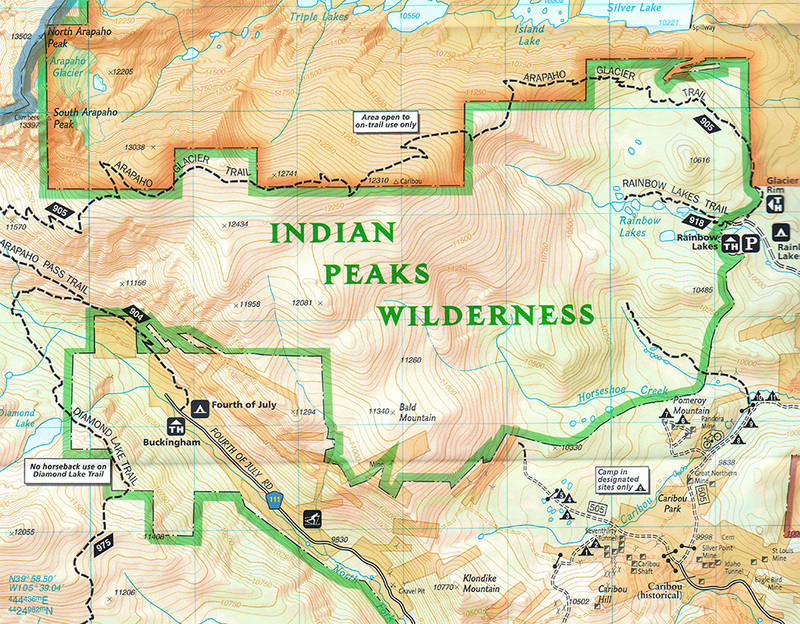 The map covers the entire Indian Peaks Wilderness as well as parts of surrounding Arapaho and Roosevelt National Forests: Eldora ski area, Ward, Monarch Lake, the popular Brainard Lakes area, and the southern shore of Lake Granby. 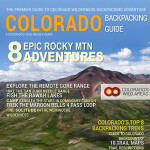 TRAILS: Arapaho Pass Trail, Buchanan Pass Trail, Cascade Creek Trail, Pawnee Pass Trail, Roaring Fork Trail, High Lonesome Trail, Caribou Pass Trail, Columbine Lake Trail, Mount Audubon Trail, St. Vrain Glacier Trail, Brainard Lakes area trails, and more. Ski and snowshoe trails are shown. 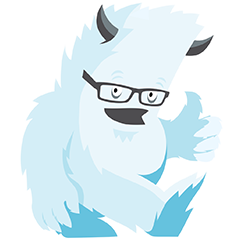 Here is a list of a few trails in the popular Brainard Lakes area: CMC Ski Trail, Waldrop, Little Raven, and others.